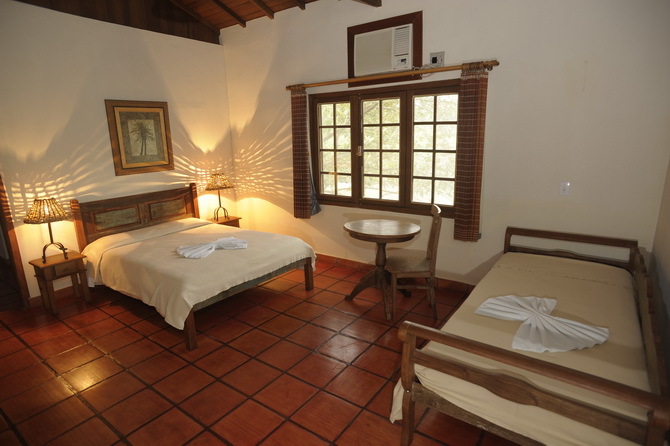 Pousada Xaraés is located in one of the most beautiful geographical regions of the Pantanal- the Abobral region. 340 km from Campo Grande and 140 km from Corumbá (of which 28 km is unpaved road). Pousada Xaraes is situated at the margins of the Abobral river in a private area of 4200 hectares of pristine nature. The 17 spacious and comfortable apartments are distributed in 3 separata buildings. All apartments are equipped with ceiling-fan, air-conditioning, telephone, mini bar and private bathroom and decorated in a rustic style. 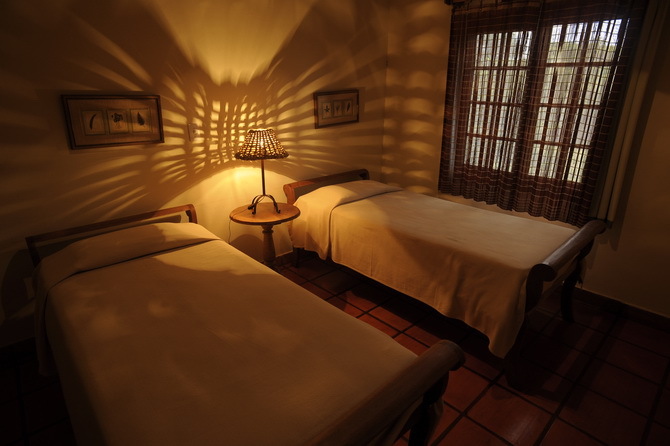 Every couple of rooms has a large veranda with fans and hammocks, offering another area to relax. 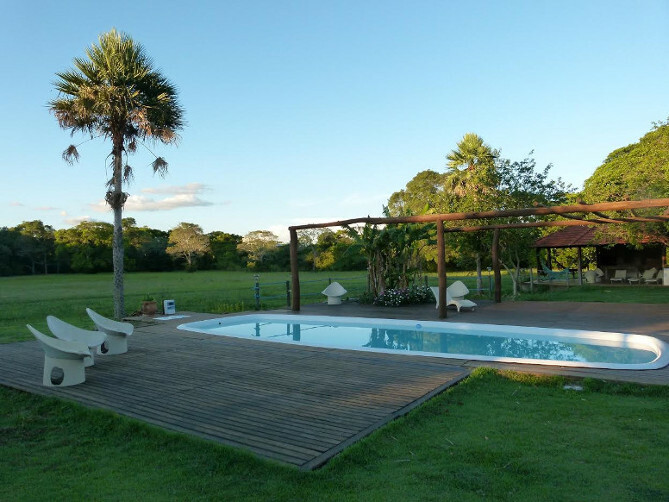 From the apartments you can hear the marvelous songs of the Pantanal birds and the emotional howling of the monkeys that inhabit the gallery forest along the Abobral River. The restaurant has a magnificent view on the large front garden of the pousada, where several birds are nesting and the sounds of these can be admired all day long. 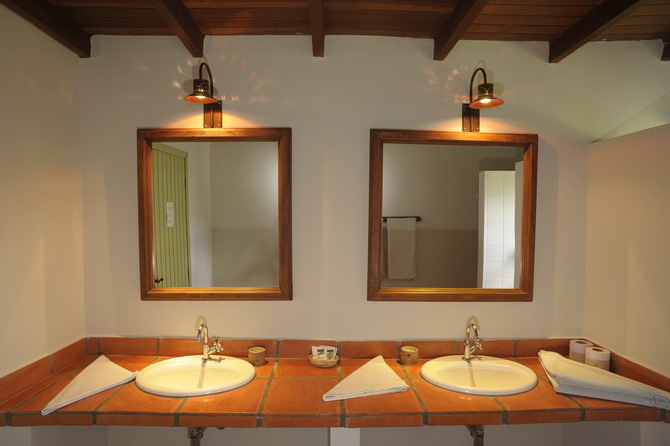 The restaurant is equipped with air-conditioning and fans and is decorated in the rustic style that is characteristic for the whole pousada. 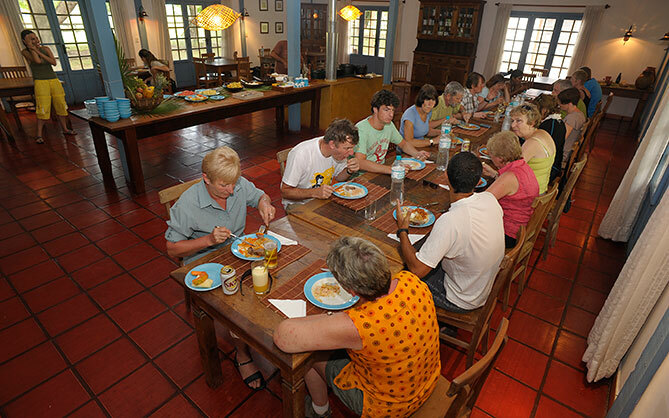 The delicious typical Pantanal meals are served in buffet-style and served 3 times a day. Leisure facilities include a swimming pool and a large living room has several ambients with a snooker table, a small library, board games, cable TV/DVD and a bar with terrace/veranda where the guests can enjoy the delicious drinks and snacks. 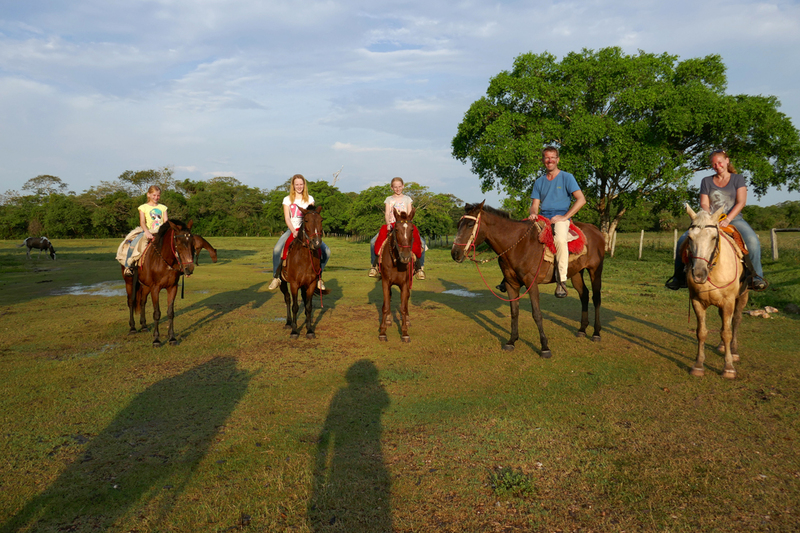 The lodge offers a number of different hikes to observe the fauna and flora of the Pantanal. Each of these hikes can be done during the day but are also available at night. 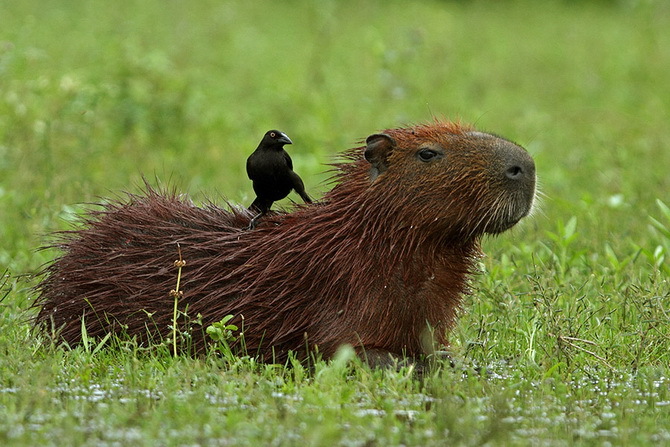 Paddling on the nearby Abobral River is an excellent way to experience the sights and sounds of the Pantanal, with frequent views of Giant Otters fishing in the river, Capybaras on the shoreline and monkeys in river edge trees. Birds commonly seen on our outings include the tallest flying bird in the New World (the Jabiru Stork) as well as a large number of other species of water birds, hawks, and kingfishers. 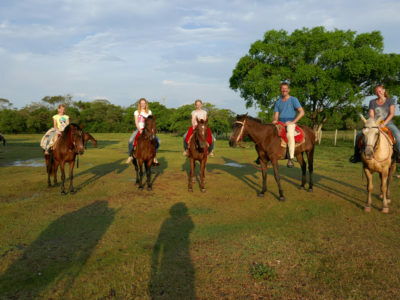 Offers one of the best ways to explore the Pantanal, as you can reach spots not accessible by car. Open-backed 4 x 4 vehicles enable exploration of the further reaches of the ranch to search for large mammals and birds. 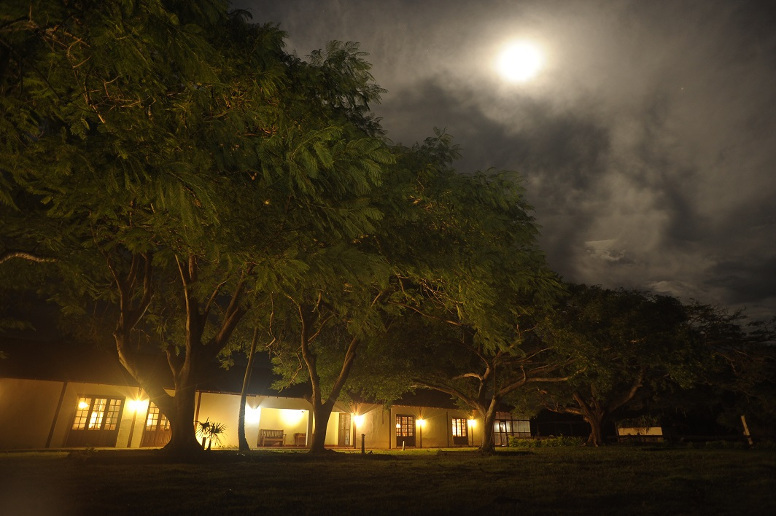 Night spotting excursions reveal the phenomenal nocturnal animals of the Pantanal. Outings often include one or more of the following: thousands of caimans with their eyes glowing orange in the beams of our flashlights, Capybaras and Giant Anteaters.